1. Rinse and drip dry the berries. 2. Whip the cream, until just stiff. 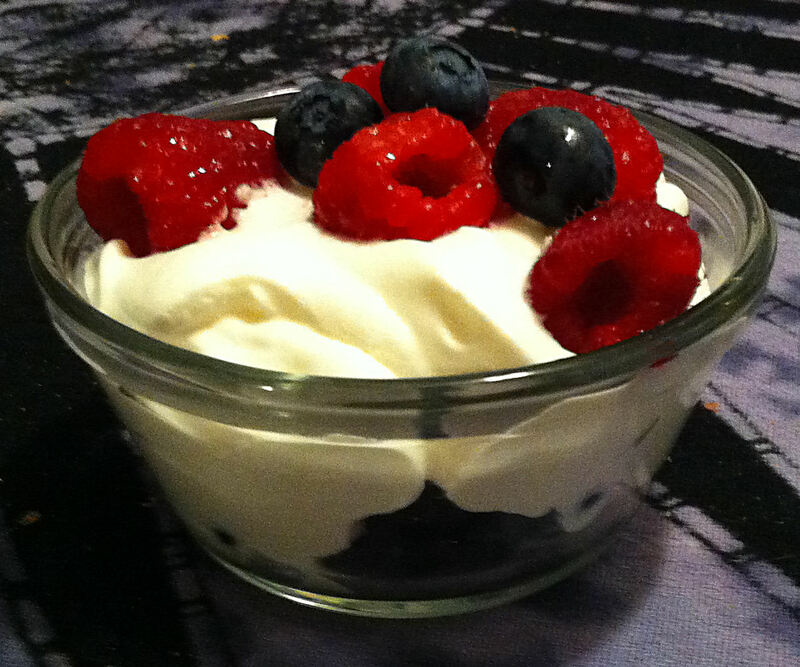 3. put some of the berries into a small individual cup for each dinner. 5. Scatter more of the raspberries and blueberries on top and serve.